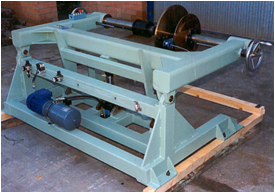 Rewinding line consists of rewinder DB and spooler 1200 ENC-630B. 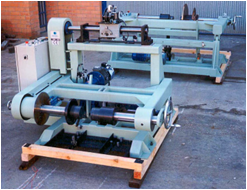 The unwinder is used for bobbins with flange diameter comprised between 600 and 1200 mm and a total width between 315 mm and 780 (optionally, can be supplied to coils of other dimensions). Meanwhile, the spooler can work with reels with a maximum flange diameter of 630 mm (DIN 46397).